Yuuki Takada is a graduate of the Fukuoka branch of Yoyogi Animation Gakuin. 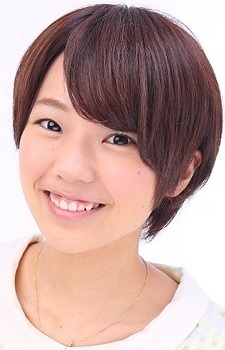 She debuted as a seiyuu in Bayonetta: Bloody Fate, voicing several extra characters. Takada was accepted into the training school of Mausu Promotion following graduation in 2013 and effectively joined the agency in 2015. Her voice sounds like Chiaki Omigawa's voice, but less strange. Lovely voice, great to see her again as Lessar. nice main role for YagaKimi. Watching Yagate Kimi ni Naru here. At times, Koito-san sounds like Chiaki Omigawa, who is also my favorite voice actress! Watching Yagate Kimi ni Naru, on episode 3 and loving it so far!The voice she does flr Koito is so different from the others, i didn't recognize.She's so talented! exciting for Yuu and yagakimi!! Hope she gets more jobs, SR-3MP was perfect.